Suddenly it’s Hallowe’en, the clocks have gone back, and we are plunged into what feels like preternatural darkness. This is not the case of course, but it does seem to sneak up every year, and then suddenly heading out for a run after work becomes tricky or downright impossible, unless you have either a well-lit route, or a decent head torch. As I am not comfortable running by street light (not the lights per se, but the roads and traffic) I will have to invest in a head torch, so that’s one for the birthday/Christmas list. Having said that, I am running out of credit on that score. 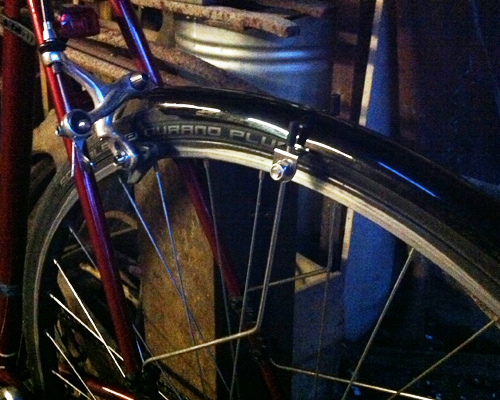 I did pick up a set of mud guards a few weeks ago, and these were an early birthday present. As I was placing an order on Amazon this week for my son, I threw in a book too, as an early Christmas gift to myself. 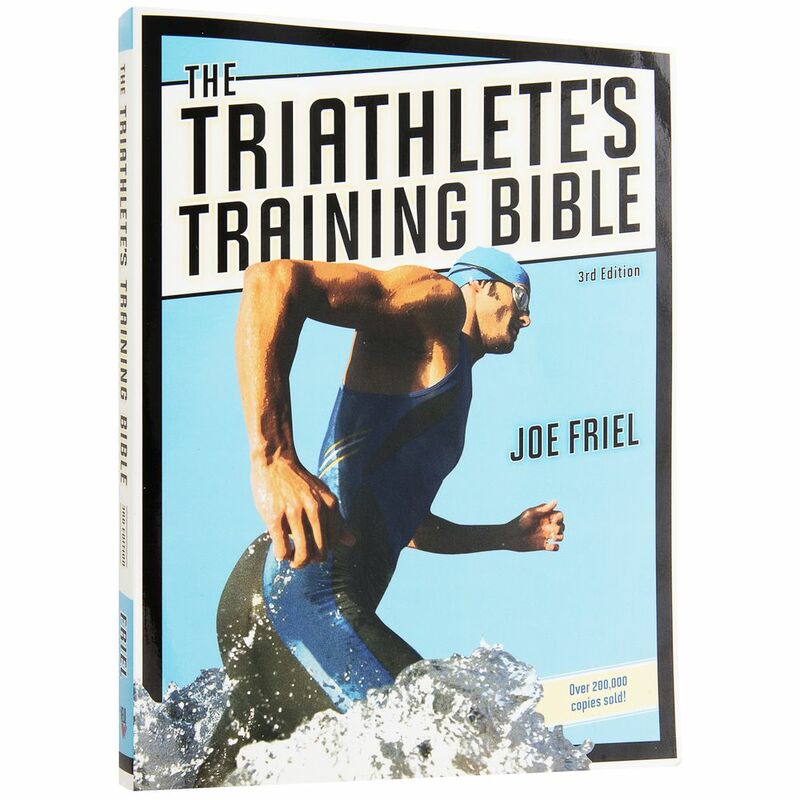 It’s The Triathlete’s Training Bible by Joe Friel and was one of the books Rob recommended down at Wheelworx, where I picked up the mud guards. Of late, there have been a few runs; nothing too serious. A few swims, and no biking. 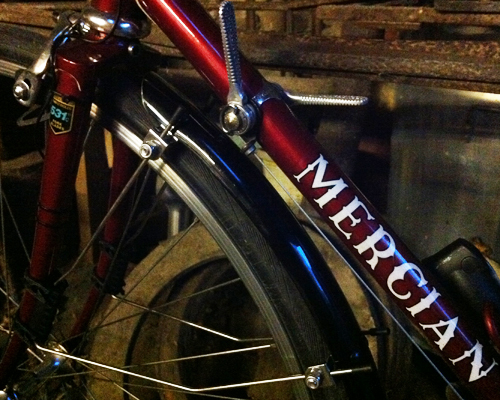 The mudguards have been fitted, so I will give them their maiden voyage this weekend, with any luck, and report back on their performance. But without a solid plan, the simple amount of hours training has dropped off. 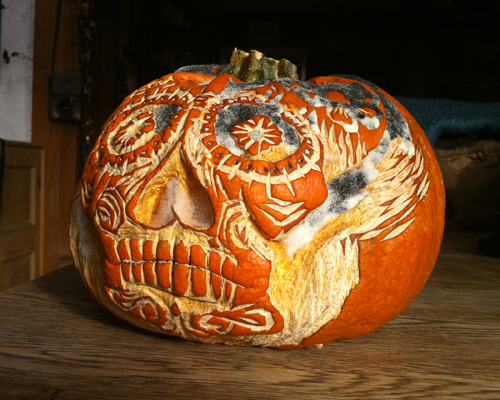 Pumpkin with a Día de Muertos feel! Here’s a pumpkin I carved for Hallowe’en. 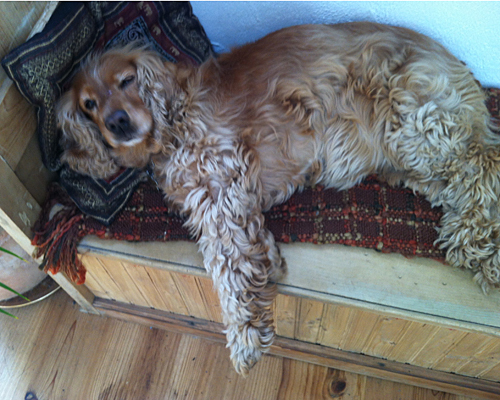 This reflects a little how I feel at the moment. Altogether not a great look. In fairness, there is still some residual fitness left after the training for the half iron, but as each week passes, I sense a little ‘pep’ seeping away. As anyone out there who trains knows, it’s easier to maintain a level of fitness than to try and get it back. So we have the 10k to look forward to next week. It’s in aid of Movember, so if you are familiar with that charity you might consider making a donation. Most of the fire crew in the station are growing a ‘tache but I wouldn’t inflict such an image onto an unsuspecting public. 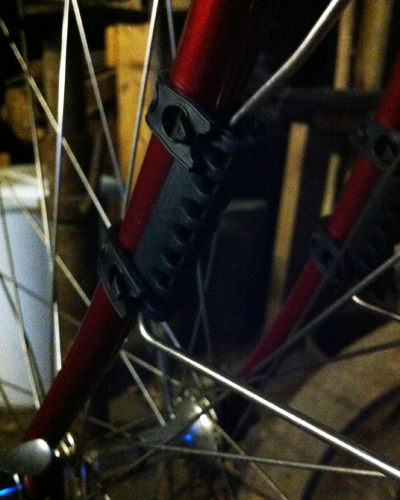 The following are a few pics of the mudguards. I can’t recall the brand. They were a sort of ‘own brand’, possibly a German make. 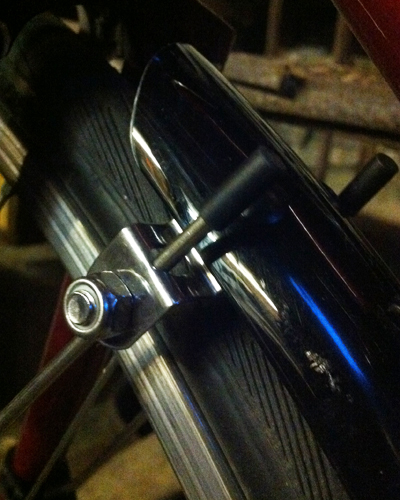 They’re not SKS or BBB or one of those well-known ones but they were easy enough to fit and look robust enough. Time will tell.